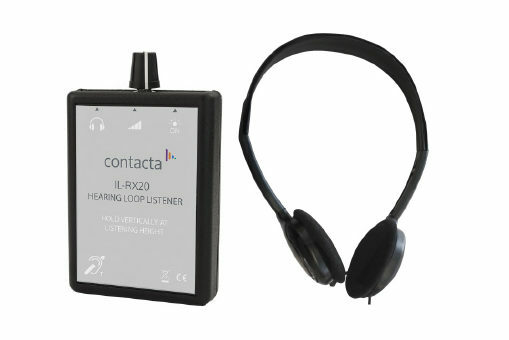 Our loop listener is a compact listening device for interaction with hearing loop systems. It enables people to listen to a hearing loop system as if they were wearing a hearing instrument switched to the “T” position. Our loop listener comes with headphones.